A look back at the 1994 Indy 500, forever remembered for the disappointed Emmo Fittipaldi, and Unser Jr. took home the win. In 1991, the United States Auto Club quietly modified its rulebook to allow for a purpose-built racing engine that used pushrods to activate the valves, hoping to attract more engine builders. The pushrod engines were granted extra turbocharger boost pressure (55 inHg compared to 45) and displacement (209 cu.in compared to 161) than the standard racing engines used at the Indianapolis 500. Michael Greenfield’s engineering firm took up the challenge of building a pushrod motor, but unfortunately for him, so did Ilmor engineering, the same company that built the Chevrolet-badged engines that won the Indy 500 from 1988-1993. 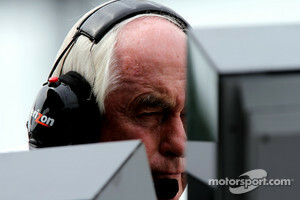 Roger Penske would use the engine in the Indy 500. It was badged as a Mercedes and was tested at Nazareth and Michigan, both tracks owned by Roger Penske. 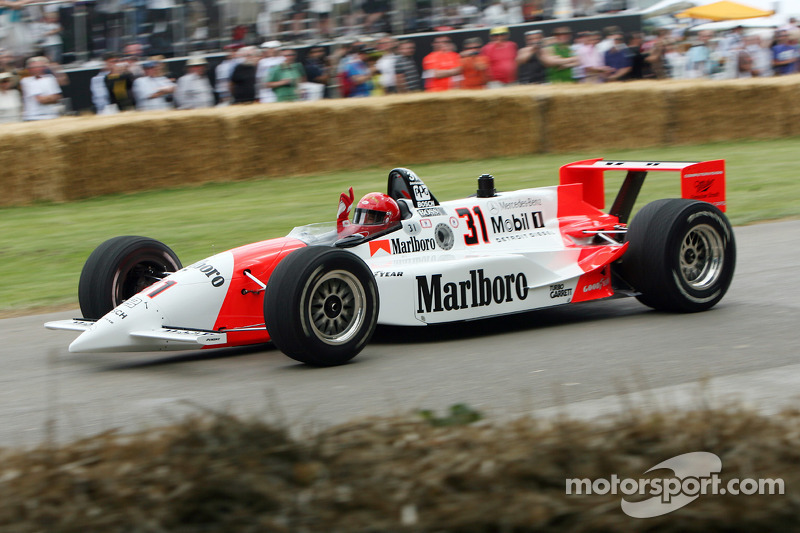 For 1994, Team Penske expanded to 3 cars after signing Al Unser Jr. to join two time Indy winner Emerson Fittipaldi and rising star Paul Tracy. There were many changes in the off season. Reynard was joining Lola and Penske as chassis manufacturers in IndyCar racing, and ended up winning its debut race with Michael Andretti at Surfer’s Paradise, Australia. 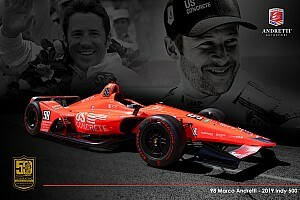 Andretti, having come off an abysmal partial season in Formula One, joined Chip Ganassi’s team to replace Arie Luyendyk after Luyendyk’s release. Luyendyk signed with Indy Regency Racing for the 500. 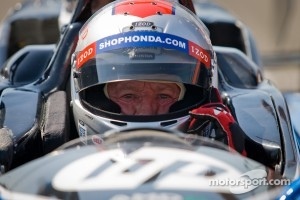 Michael’s father, Mario Andretti, announced that 1994 would be his last Indy 500. Bobby Rahal obtained Honda power for 1994 with his teammate Mike Groff. They ditched their in-house chassis design midway through 1993 for Lolas after they failed to make the show in 1993. John Andretti announced that he would be the first driver to do double duty on race day, racing in the Indianapolis 500 and flying to Charlotte to compete in NASCAR’s Coca Cola 600. After several days of practice, an all Penske front row looked probable until Paul Tracy crashed on Fast Friday, ending his chances for the front row. On Pole Day, Unser Jr. powered his Penske to his first ever pole position on an oval. The next day, Fittipaldi qualified 3rd quickest while Mario Andretti was safely in the field starting in 9th position for his 29th 500. 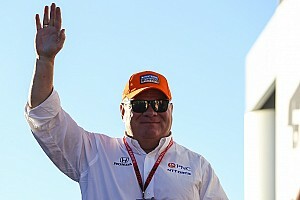 After the first weekend of qualifications were over, Al Unser Sr. announced his retirement on Tuesday, after he was not able to get up to speed with his car. By the time qualifications were over, Johnny Rutherford had retired, too, and drove a celebratory last lap around the track in the same car AJ Foyt used on Pole Day, 1993 for the same purpose. 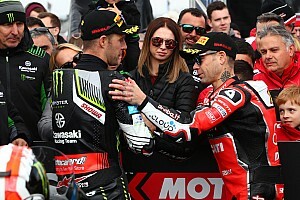 The second weekend of qualifications saw a fair amount of drama play out, as Rahal realized that his cars would not be fast enough and purchased some 1993 back-up cars from Roger Penske. 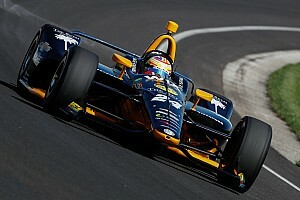 The cars had Ilmor engines in them and Rahal and Groff qualified the cars on Saturday the 21st. Bryan Herta was the slowest qualifier and Mark Smith failed to make the race, keeping the statistic alive of no driver having the surname Smith start the 500. There were 6 Penskes, 7 Reynards and 20 Lola cars in the field. There were 3 Mercedes, 1 Buick, 2 Menards, 6 Ilmor-Ds, and 21 Ford Cosworth engines in the field. Race day dawned and Unser Jr. led right from the start. The first caution was a brief affair after Dennis Vitolo spun coming off of turn 4 on lap 6. After hitting nothing, he resumed competition and the green flag flew a few laps later. Roberto Guerrero spun and hit the wall in the south end of the track on lap 20 and in the ensuing caution, the lead changed hands for the first time as Unser Jr. stalled his engine and Fittipaldi capitalized on his teammate’s mistake. The caution was also the end of the road for Mario Andretti. Despite the team’s best efforts, the Newman-Haas Lola was out. The pressure relief valve was blown inside the plenum on top of the engine so the engine lost power and could not be restarted. After the restart, there was a brief interlude of green before Mike Groff and Dominic Dobson brought out the caution with a two car incident in turn 1. 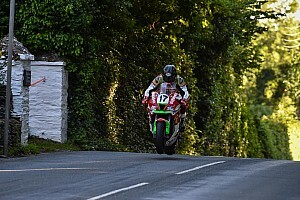 The next 50 laps proceeded without incident until Hideshi Matsuda crashed in turn 1. Mere seconds later, John Paul Jr. crashed in turn 3, most likely the victim of a cut tire resulting from debris. During the caution, Dennis Vitolo’s car vaulted on top of the rear of Nigel Mansell’s car. Both were out, Mansell leaving the track in a huff. Later on in that caution, Tracy’s car was retired from the race with a turbocharger failure. All the while, Emerson Fittipaldi was dominating the race and was set to make a late race fuel stop with less than 10 laps to go. He never got that far. On lap 185, he was trying to get a run coming off of turn 4 to put his teammate a lap down. Fittipaldi got his left side wheels on the rumble strips, got a little bit loose, and hit the turn 4 wall with the right rear of his car. The rear wing came off the car as it slowed to a stop about a few hundred feet short of the yard of bricks. Unser Jr. took over the lead and would never give it up. A late accident in turn one from Stan Fox provided the last caution of the race and the race would end under yellow for the 3rd time in 7 years. Jacques Villeneuve finished 2nd and earned rookie of the year honors while Bobby Rahal went from 28th to finish 3rd to keep his odd/even year streak alive. Jimmy Vasser finished 4th and Robby Gordon was the highest finishing Lola in 5th. Weeks after the race, USAC changed the rule regarding purpose built pushrod engines and their turbocharger boost. The Mercedes engine designed for the 500 never competed again. Unser Jr. went on to win the IndyCar championship that year. Thanks to Carl Hungness and the IMS Radio Network for various facts and figures that contributed to this story.